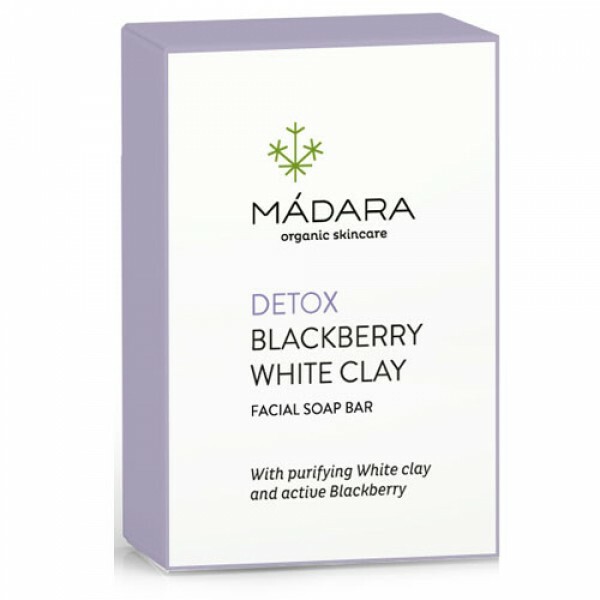 Ideal for combination & oily skins, Blackberry & White Clay clarifying face soap is enriched with skin nourishing wheat germ oil and plant sugars helping the skin to retain its moisture whilst leaving it scrupulously clean. Purifying white clay & tannins of the blackberry balance the skin, while botanical soap base gently cleanses and washes away all impurities. Sodium palmate, sodium cocoate, aqua, glycerin, aroma, sodium citrate, Rubus fruticosus (Blackberries) fruit extract, koalin***, C17707***, C177019***, mica***, titanum dioxide***, triticum vulgare (Wheat) germ oil, tocopherol, betaine, limonene. *** naturally occurring minerals.